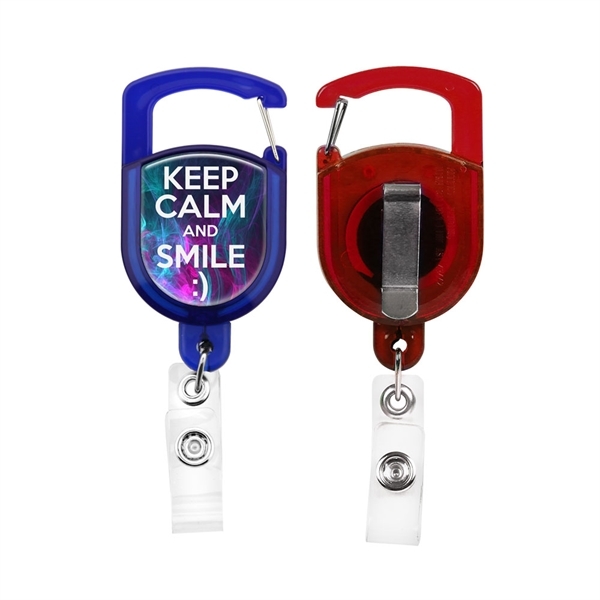 Production Time: 3 business days - A 30" retractable trade show or office badge reel. Features a carabiner and metal pocket clip on the back. Add full-color with Digital Direct Printing for an additional cost. Add Epoxy Dome for an additional cost. Epoxy Dome not included in 24hr service. Epoxy Dome will require 3-day production. Size: 1 1/2 " x 2 3/4 "